My teachers/staff & I at A Time To Dance are blessed to be working in an industry that we love! It’s such a privilege to teach our students the art of dance & to share the joy that dance gives with them! It’s amazing how much dance has a positive & powerful influence on those that perform it & can impact an audience in so many wonderful ways. Last year, our dance team danced for many different foundations & each team wore a different ribbon at every competition all year representing their cause. This was a great way to spread awareness & give our kids another positive focus for others in addition to competition. As I’ve researched many different foundations to dance for this year, I’m extremely excited to announce that our ATTD Team will be supporting & dancing for Drea’s Dream Foundation. 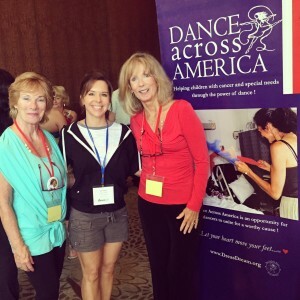 They provide Dance Therapy for children with cancer or special needs. After meeting Susan Rizzo & one of her dance therapists who explained what they did for these children, we decided this would be a fantastic opportunity for our studio to represent Drea’s Dream & help spread their information on to others. Please check out the links & info attached. We are very happy to be a part of supporting this great cause!